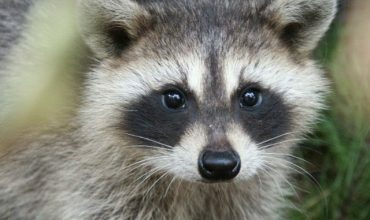 Respect for Animals believes that it is unreasonable and impractical for consumers to have to take recourse to unfair trading legislation to protect themselves against being duped into buying the products of the cruel fur trade. -give consumers the protection they deserve and provide them with concrete information to make informed decisions about purchasing fur products. It is time the UK caught up with the US when it comes to accurate fur labelling and Respect for Animals is taking a lead in campaigning for this reasonable and necessary law. Please help us to highlight the pressing need for fur labelling legislation. You can do this by clicking here to sign our letter to the Business Secretary, Greg Clark. I urge the UK government to bring in fur labelling legislation as a matter of urgency. The United Kingdom has banned the farming of animals for their fur on the grounds of public morality since 2000. Respect for Animals led the campaign for this and worked closely with the then government to achieve it. Real fur, however, continues to be imported and sold in British shops. The absence of clear labelling means that it is extremely likely that consumers in Britain will be unwittingly purchasing products containing real fur, believing or assuming that it is fake fur. Millions of people across the UK find the idea of inadvertently funding the fur industry abhorrent and it is only right that these consumers are able to make informed choices based on clear labelling. 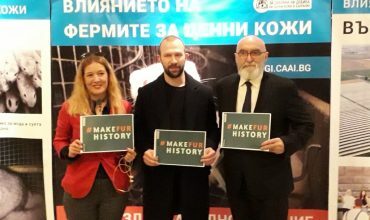 The UK is seriously lagging behind the United States when it comes to need for legislation to ensure appropriate labelling of products containing fur. For many years, the Truth in Fur Labelling Act has protected compassionate shoppers in America who wish to avoid buying fur. Now is the time for UK shoppers to have the same protection. Significant amounts of fur are sold in the UK and EU. Much of it is used as trim in relatively inexpensive garments imported from Asia. It is often very difficult for consumers to distinguish between real and fake fur. Manufacturers also frequently dye and trim real fur making it less obvious to the untrained eye that it is genuine. With fur-trimmed garments today being sold at such low prices, consumers will often assume that an item of clothing is so cheap that it cannot possibly include real fur. Moreover, consumers presume that it will be listed on the garment’s label. This is understandable as the names and percentages of all other textile fibres have to be listed on clothing labels. Consumers run the risk of inadvertently purchasing real fur products when they would prefer not to – and there is evidence to show that they are. • All respondents assumed that all fur on the high street is fake. In 2011 the European Union introduced legislation covering textile names. Clothing manufacturers must indicate if their products contain animal-derived products such as fur, leather or feathers using the phrase “contains non-textile parts of animal origin”. Although a step in the right direction, this label requirement falls far short of what is needed and it is far weaker than the US legislation. Consumers need to know specifically if the garment that are considering buying contains real fur. The UK authorities have argued that consumers are protected by Directive 2005/29/EC concerning unfair business-to-consumer commercial practices and Directive 1999/44/EC on aspects of the sale of consumer goods. In other words, if something is mislabelled, the purchaser has recourse to the law. But the onus is on the consumer to act on unfair trading practices. It is up to the individual consumer to make the case that the lack of labelling is misleading. They must argue that consumers require information to be able to make informed choices. The lack of explicit fur labelling could be viewed as an omission on the part of the retailer/manufacturer to inform the consumer. Nonetheless, given that there are no legal labelling requirements for fur products, the retailer/manufacturer can argue that they are not obliged to provide this information on product content. In this way, consumers may find themselves in a ‘Catch 22’ situation if they attempt to take action. The EU textile legislation may now even make the situation more complicated. It is unrealistic to think that consumers would take action if they have bought real fur in error or due to inadequate labelling. The fur trade has tried to fill the gap with its own meaningless labelling scheme. The International Fur Federation currently operates an ‘Origin Assured’ labelling system, which it says provides consumers with information on the source of fur. Such a scheme, however, only covers the high end of the fur market where the consumer has likely already made a decision to purchase real fur. The inclusion of fur in the garment is one of its selling points and it will therefore be included in some shape or form on the labelling. This is not the case for most fur products found on the ‘high street’. Lack of labelling means that consumers may not make informed decisions and could be unwittingly buying fur products. Voluntary schemes are not a replacement for proper garment labelling. 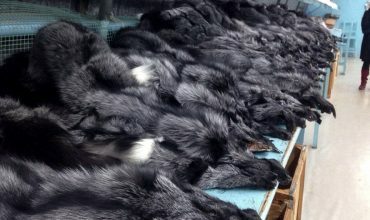 Many cheap fur-trimmed garments are sold in small boutiques and markets, rather than in the larger fashion chain stores – bearing no fur label whatsoever. It is time the UK caught up with the US when it comes to accurate fur labelling. Given the UK’s likely exit from the European Union, we are interested in what plans you and your department have for the future UK legislation concerning fur labelling. We want proper fur labelling: NOW!